The way you run your office says a lot about your business. If your office is messy and disorganised, chances are your business will be disorganised too. 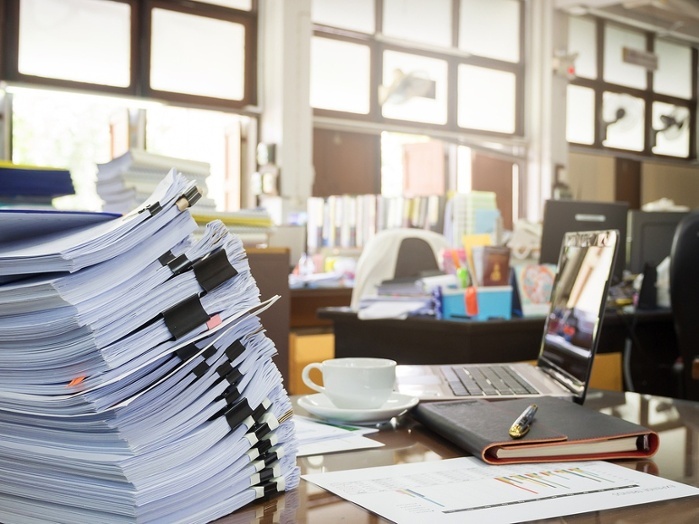 If you run a tip-top, organised and efficient office, well, safe to say your business probably operates in the same manner. This isn’t a blanket rule; of course some types of businesses thrive on a messy or ‘creative’ office and just because your office runs smoothly doesn’t mean your business will. Yet, it stands to reason that an efficiently run office sets your business up for its best chance of success. You might be wondering what constitutes an efficient office. Is it the way the tables are arranged? Whether you have a coffee machine so your employees are always awake and alert? Maybe an efficient office is one that’s cost effective? Investing in advanced technology is one of the most cost effective ways you can run your business. If the technology you use in the office is efficient, cutting-edge and consistently meets clients’ needs in an advanced and rapid way, your small business is well on its way to thriving today, and well into the future. One of the best pieces of technology your business can invest in is a fast and efficient printer. According to our Customer Insights Survey 2016, when purchasing a printer, 30% of respondents selected the speed of the printer as one of the most important features. Furthermore, 55% of respondents said they would consider buying a new printer because their existing one was too slow. And, 68% of respondents admitted that the printer type and its technology was important to them. All printers have a life-span, and when your printer has run its course, it’s important you know the signs and upgrade it as soon as possible. If your printer isn’t running at optimal efficiency, chances are your business isn’t either. If you’re reading this article and thinking, ‘Well, EOFY is coming up and we do have a lot of accounting to do so it’d be good to have a faster printer’, or, ‘It would be great to not waste time standing around the printer waiting for documents to print’, or ‘Yes, the office printer has been running a bit slower than usual, maybe it’s time for an upgrade’, then this post is for you. If you’re looking at investing in a faster and more productive printer for your small business and aren’t sure where to start, look no further than this handy guide. Then you need the Phaser 4622. The Phaser 4622 prints up to 62ppm (A4). Not only is it an incredibly high-tech, fast-processing B&W printer, it also comes with a range of other benefits. Fuji Xerox offers a complete range of fast and state-of-the-art printers for all your SME needs. Check out our products page for more info on the range here.